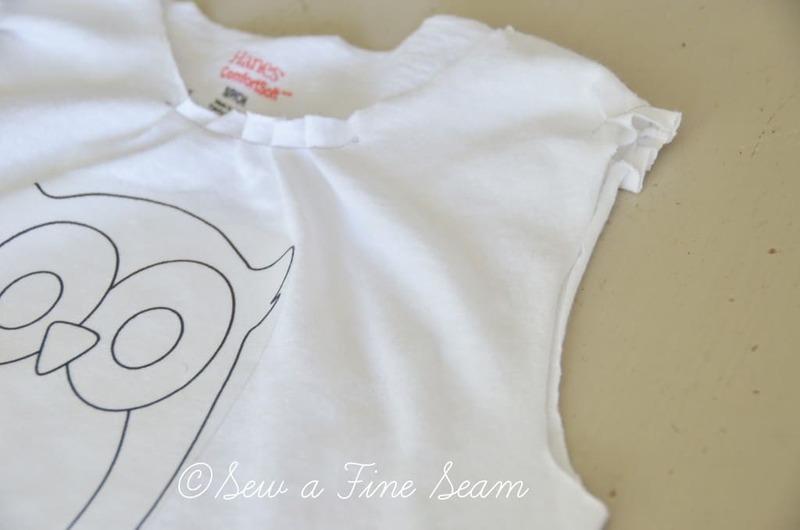 T-Shirt Craft for the birthday girl. Last week for my daughter’s 10th birthday, we included a fun craft for the kiddos. 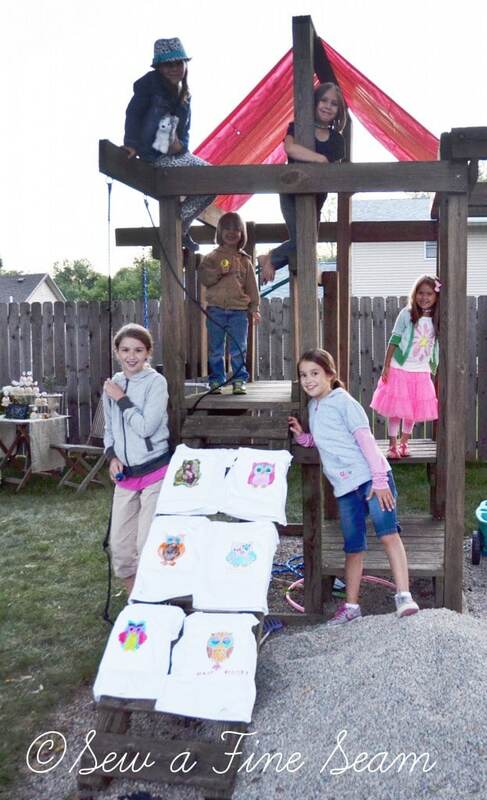 There were six kids total who did the craft, Larke and Becca, and 4 of the kids in the family we invited over. The youngest was still too young to paint so we just watched her run around looking cute! 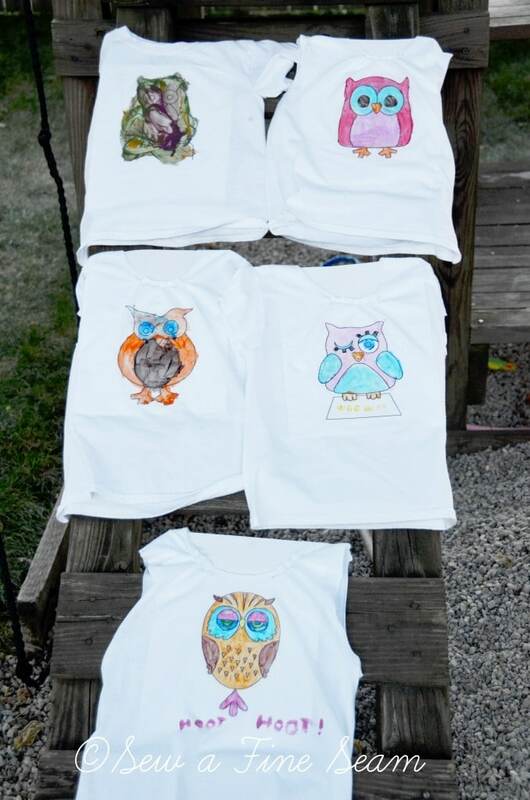 I bought a pack of boy’s Hanes t-shirts at Wal-Mart and used printable transfers to put the owls on the shirts. 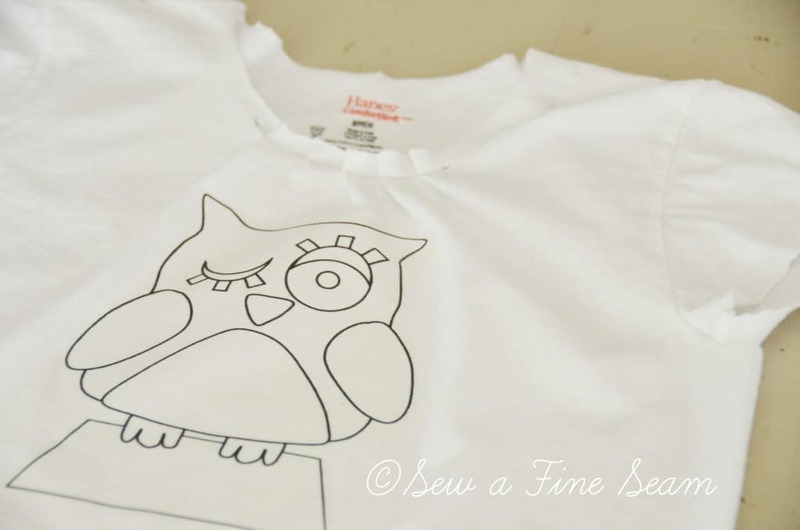 I’ve had the transfer paper for a while and hadn’t taken the time to use it for anything. I printed the owls from an online coloring pages site and reduced the size in my printer so I could print 2 owls on one sheet of transfer paper. Since there was one little boy in the group I left one shirt as it was. The rest were girls so their shirts all got a bit of upcycling. I cut off the neck-band and added a few tucks for girly detail. Sleeves got cut off in a girly looking cap sleeve style. I added some tucks along the top of the sleeve too. For the 2 oldest girls I cut the sleeves off completely and added some tucks at the top of the armhole. And just a bit different on the tuck detail on one because the transfer ended up closer to the neck on this one than the others. 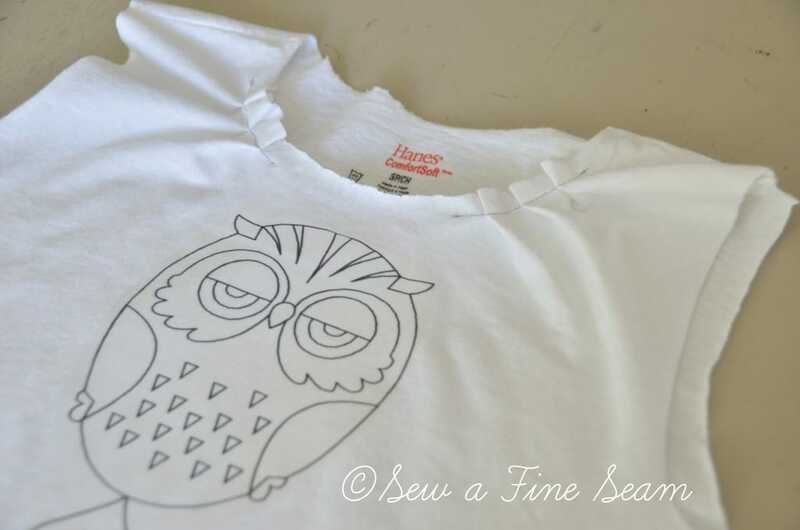 You can detail shirts any way that strikes you when crafting! 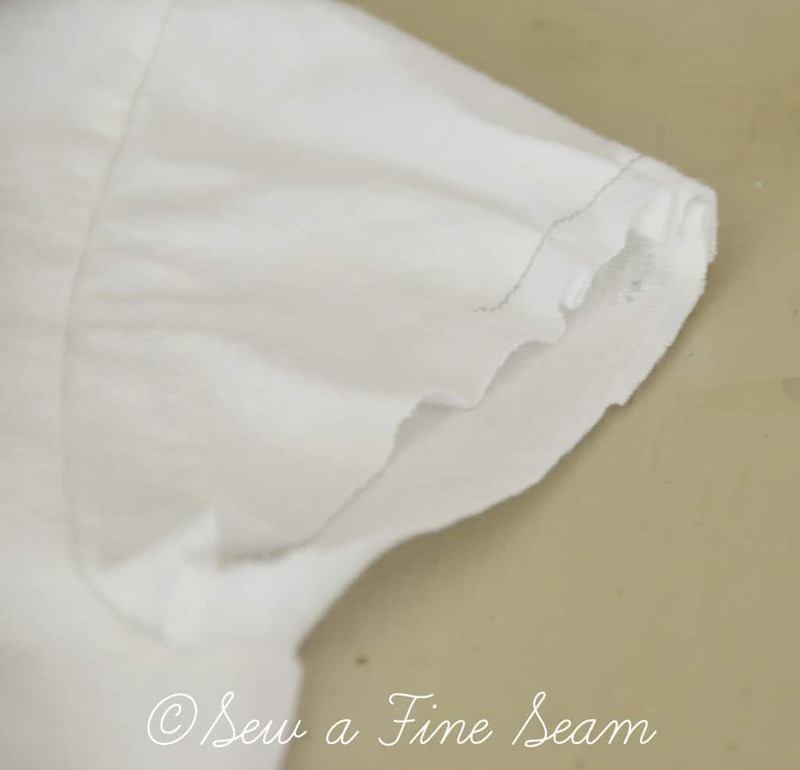 We placed pieces of cardstock inside the shirts so the paint wouldn’t go through the front of the shirt onto the back and stick together. A pack of brushes and a set of paints and let them go at it. I love how 3 year old’s paint!! Lay them somewhere to dry and then send them home as part of the party favor loot! *I do have to insert here the one thing I failed to notice or even think about – when I bought the paint I bought washable paint! ACK! 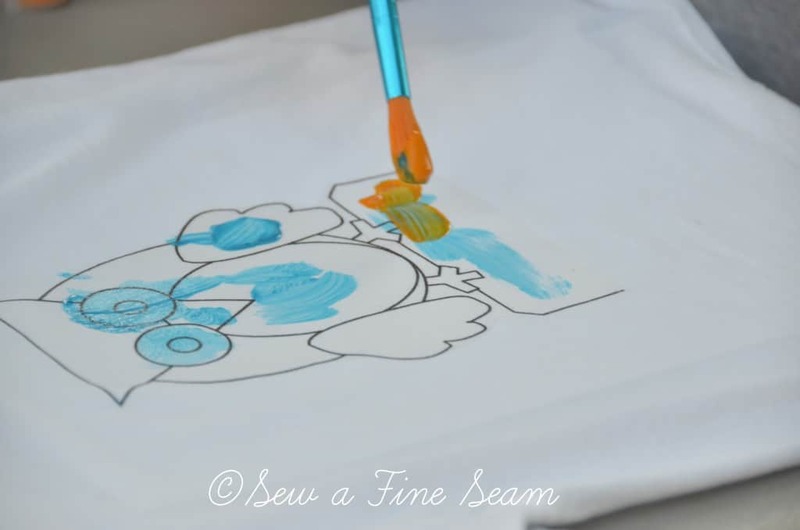 That is NOT a good thing when you are painting a shirt and you want the paint to stay on! 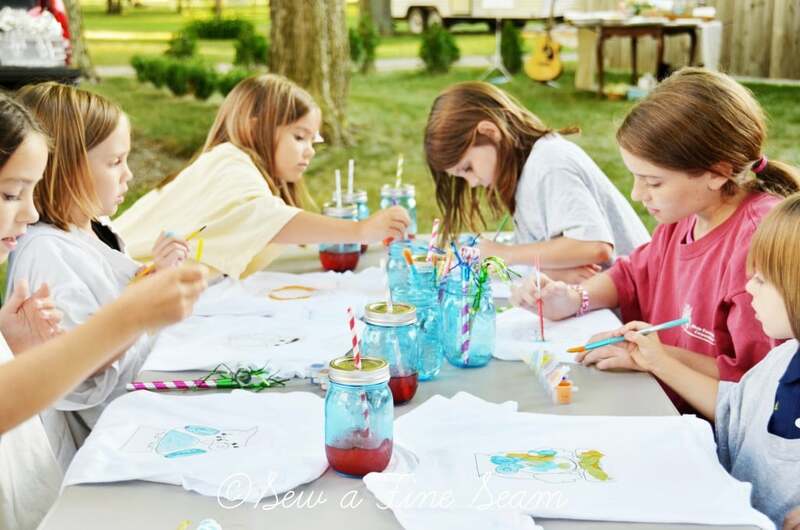 So now they get to wash it off and paint again – this time using acrylic craft paint instead of Crayola paint from the school supply aisle at Target! They had fun painting and this way they can have fun painting TWICE! 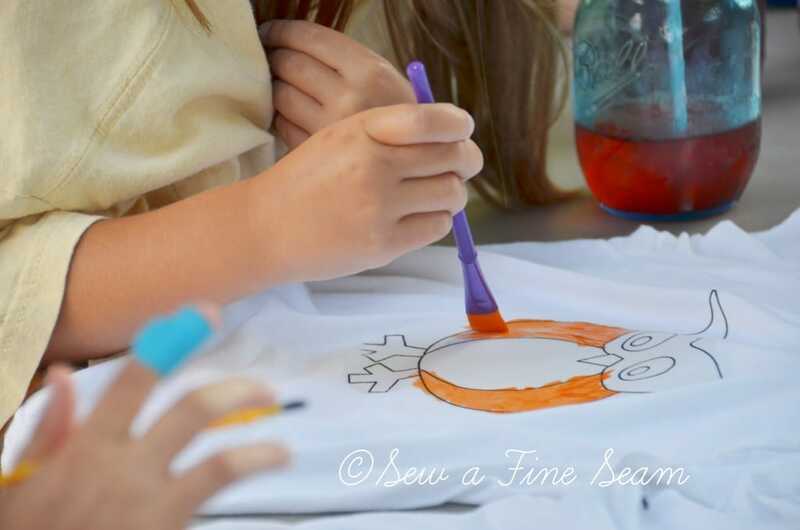 This is a great project for a birthday party and is easy, quick, fun, and cheap. Thanks Diana! 3 year olds are great! I miss mine – they all grew up! How fun! I’m quite sure they won’t mind painting them twice! If I was doing the shirts they wouldn’t have got the cute tucks and sleeve detail, I’m afraid! 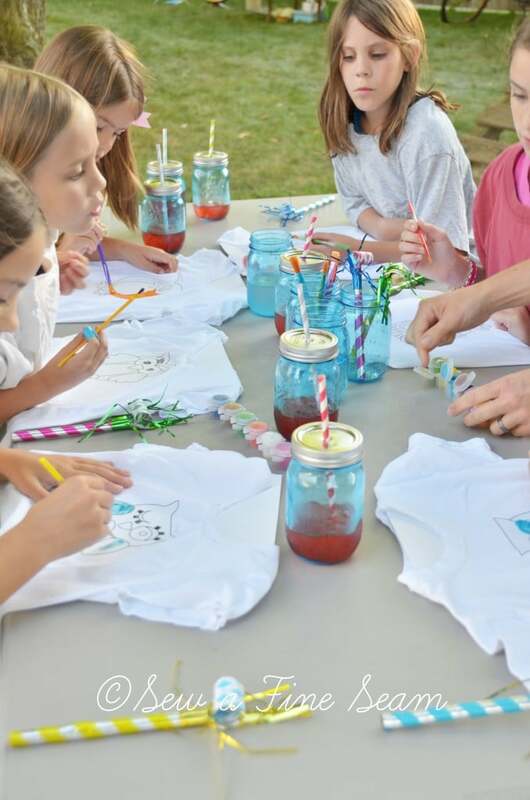 What a fun party craft. I had to laugh when I read your mistake. Even the great Jill is capable of making mistakes from time to time…makes the rest of us feel better :). 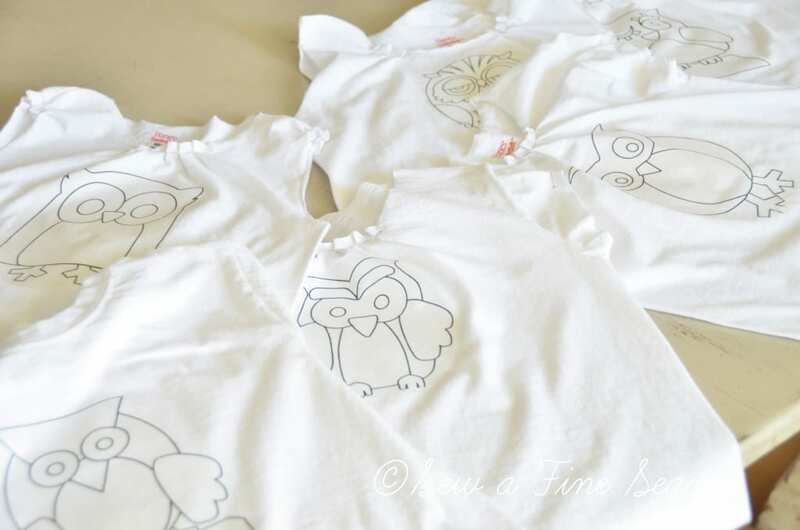 Those owl shirts are just precious. HaHa Amy! You made me laugh! Believe me I can make some pretty serious mistakes! LOL! 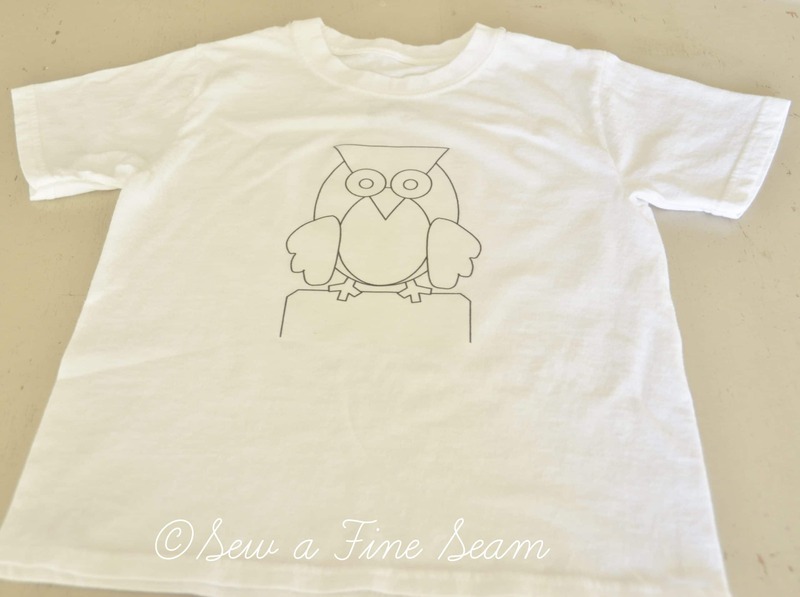 Hi, just a quick question, your t-shirts are definitely something I want to do with my grand kids…when you mentioned putting 2 owls on one piece of printing paper, is that the standard sized paper? Not legal? ps glad I stumbled across your blog!! signing up right now! !